Mazlan acquired his love of gardening at a young age and it has been his passion for over 55 years. 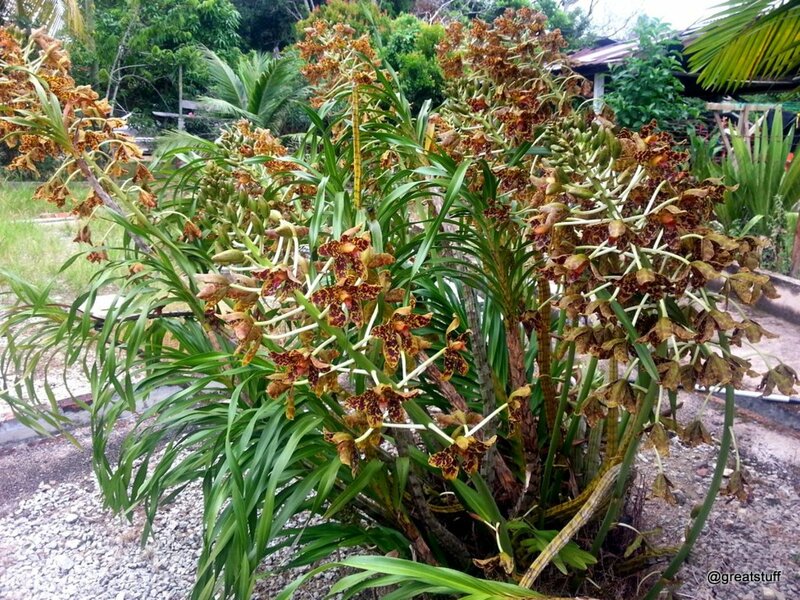 Our Tiger Orchid plant (Grammatophyllum speciosum) blooms only once and that was way back in the year 2000. 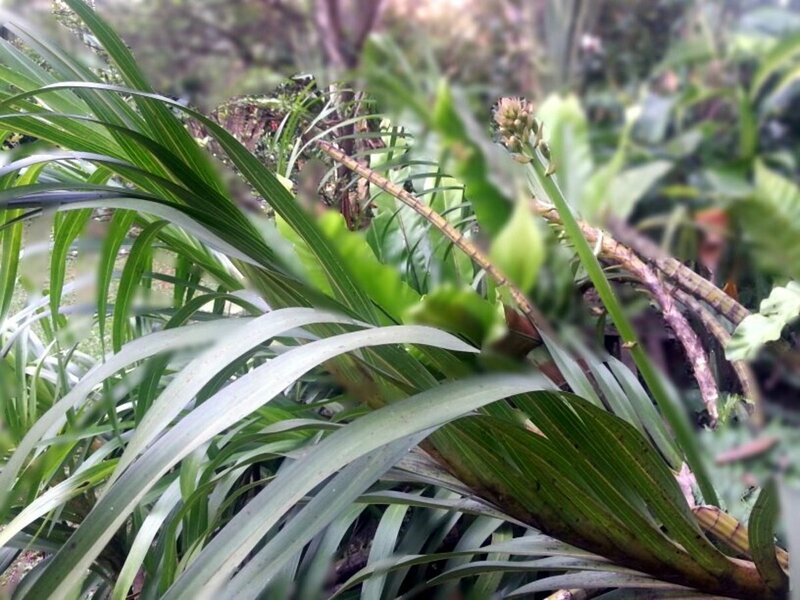 It was a real pleasure to see the flowering stalks as we had this plant for almost 20 years before it flowers. We almost gave up but I was determined to try any methods to see it blooms again. And if you too had difficulty in nursing your grammatophyllum speciosum to bloom, don't give up as you will never know one day it will happen. I tried several commercial chemical fertilizers but without success. Finally, I decided to experiment with a few concoctions of organic fertilizers and voila! I was lucky as within two months it started to produce four flowering stalks. Before I share this success story, let's take a quick look at Tiger Orchid. Tiger orchid is the world's largest orchid plant and blooms only once every three to four years. Unfortunately for some of us, this is not the case. It may take even longer time to bloom! Its yellow colored flowers with dark red spots can grow up to 3.9 inches (10 cm) in diameter and is the largest orchid flower in the world. 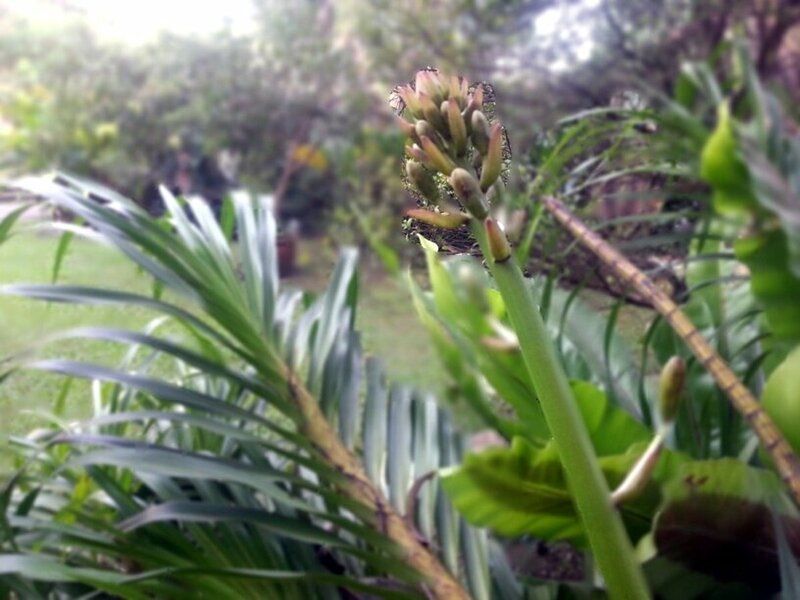 Its flowering stalk can bear up to 80 flowers and remain in bloom for up to two months. The flower has a mild and pleasant fragrance that smells like a cross between jasmine and ylang-ylang flowers. The name 'Tiger Orchid' is used for other orchid varieties as well, namely Maxillaria, which is native to tropical and subtropical America, and Rossioglossum grande, which is native to Mexico and Honduras. 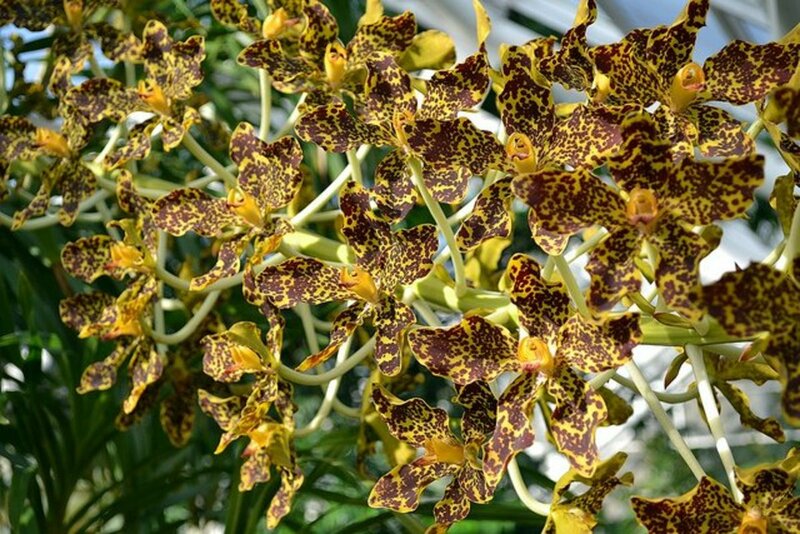 The Tiger Orchid that I am referring to in this article is Grammatophyllum Speciosum, which is native to Malaysia, Indonesia, Philippines and New Guinea. There are many items that you can use as organic fertilizers. Some items can be bought off the shelf and some are available in your own kitchen or even backyard. I used the following items which are a combination of things that I bought and things that I recycled from our daily use. I used goat and chicken manures in dried and pelleted form as part of my organic fertilizer concoction for my Tiger Orchids. These manures are packed and sold under various proprietary names. Some of these brands are mixed with other ingredients or fillers that do little to add potency to the manure. I got mine from the Thursday night market in Keramat, Kuala Lumpur and even though it has no propriety name and no nutrient content quoted, it is reliable and worked very well on my plants. Chicken manure is higher in nitrogen and actual nutrient contents can vary. Generally, the composition of the dried and pelleted form is about N 4%, P 2% and K 1% i.e. nitrogen, phosphorus, and potassium respectively. The dried and pelleted goat manure is about N 1.5%, P 1.0%, and K 1.8%, i.e. higher in potassium, which is useful for flowering. What do Nitrogen, Phosphorus, and Potassium in Fertilizers do for Plants? Nitrogen, Phosphorus, and Potassium or N-P-K are commonly used in fertilizer and each has a different function to play to promote plant growth. I recycle used tea bags by soaking it in water for a few days and then use it to water the Tiger Orchid plant. Tea is rich in nitrogen and potassium, which are useful ingredients for plant growth and flowering. 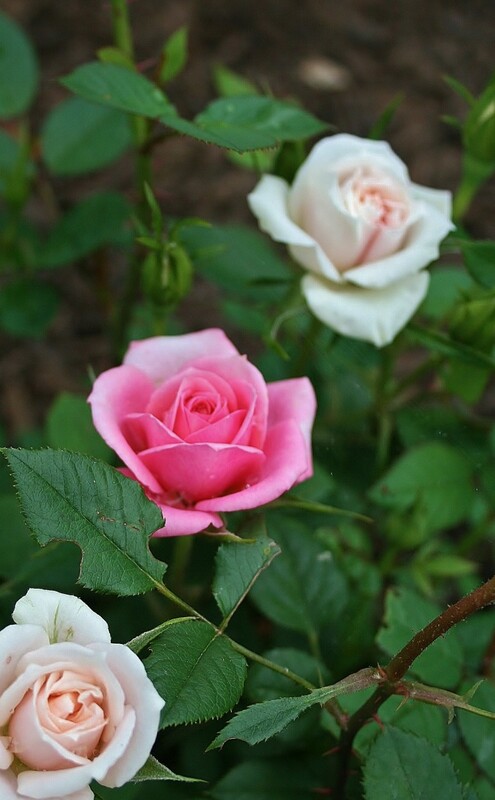 Instead of plain water to water the plant, tea water that is rich in nutrients will give good plant growth and beautiful flowers. If you want to know how I planted Plumeria or Frangipani from seeds, then click on the link. Rice water is another nutrient-rich water that I used to water and fertilize my Tiger Orchid. If you cook rice on a regular basis, the water that you use to wash the rice before cooking can be recycled as fertilizer. The water has traces of thiamin, niacin, riboflavin and folic acid, which are necessary for healthy plant growth. It is even more effective if you put it aside for a day for it to ferment, before watering the Tiger Orchid plant. Some people use water that rice has been boiled in but I find it a hassle and prefer the water that you use to wash or rinse the rice before cooking. Is brown or normal white rice better? Although brown rice contains the higher dosage of thiamin, niacin, riboflavin, and folic acid I use white basmati rice because that is what we use in our cooking. So, if you eat brown rice then you get better quality rice water for your orchid. We have bananas almost every day for breakfast and I use the banana peels, which are rich in phosphorus and potassium as fertilizer for the tiger orchids. I will either mashed or blend it and mixed it with either the tea water or rice water before watering the plant. Banana peels will not only promote flowering but will give strong colors to your flowers. The above is the only stuff that I used as organic fertilizer for my Tiger Orchid plant. When I first used them way back in the year 2000, I did not give this organic concoction much credit, when the plant bloomed. 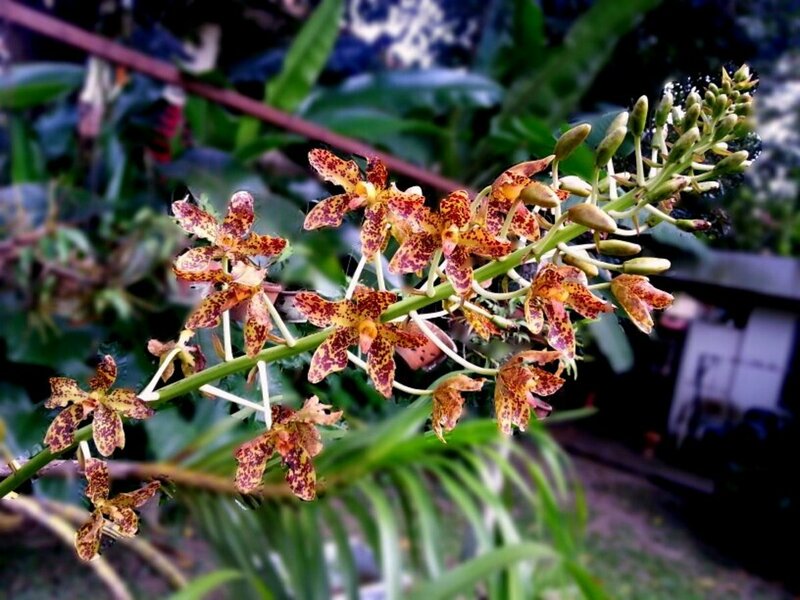 When I started to use it again after a long spell of almost 13 years and it blooms again, I was dead certain that this 'recipe' works and is responsible for the Tiger orchid to bloom again. When a friend heard of my organic fertilizer concoction and saw the blooms, he told me the result was not as spectacular as his tiger orchid. I agreed. The first time my Tiger Orchid bloomed, it had four flowering stalks. 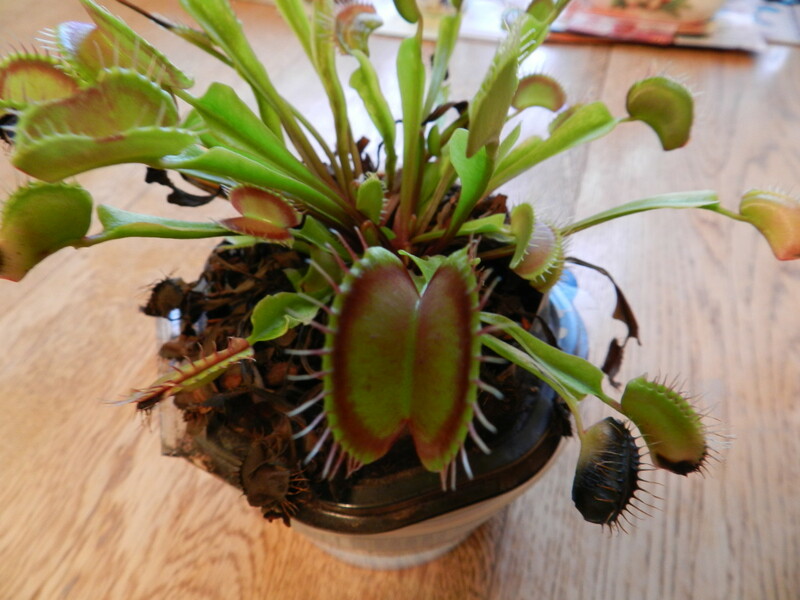 This time around in 2014, it produced only one flowering stalk. Although the result is not that impressive I was still proud as I could get it to flower. My friend used cat litters as his 'organic fertilizer' and had more flowering stalks and better and bigger flowers. It may sound disgusting but instead of throwing away the used litter, which is rich in nitrogen from the cat urine, he put it to good use in his garden. He was not worried about pathogens from the poop as the free-range cat will deposit them in the garden anyway. To him, it costs him 'nothing' as he has to buy the cat litter anyhow. I have not tried this but I have seen the results and I have to admit, it was more impressive. I apply the goat and chicken manure on an alternate week basis. Before sprinkling the pellets over the root system, I water the plant first. 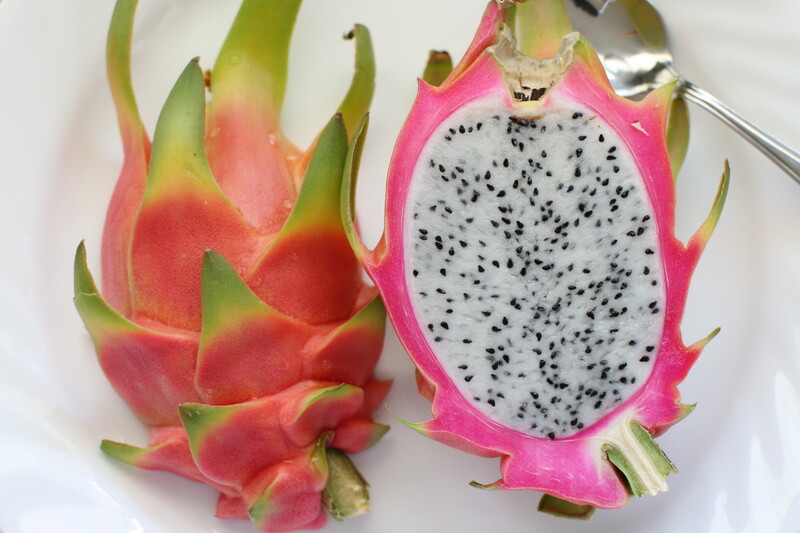 This will thoroughly wet the roots for easier absorption of the nutrients. After sprinkling the pellets, I water the plant again directing the water to where the pellets are. If you intend to use cat litters as your 'organic fertilizer' for your Tiger Orchid, you can apply the same application method. However, you will have to use more water after putting the litter so as to dilute the 'waste' especially the urine or ammonia in the litter. As we eat rice every day, we have daily supply of rice water. I do not use it immediately but will leave it overnight to water the Tiger Orchid plant in the morning. This short 'fermentation' period helps convert the rice water into fertilizer. If we have banana peels, we will either mash or blend it and mix it with this rice water, which will then be used to water the Tiger Orchid plant. I will recycle tea leaves and tea bags by soaking it in water for at least three days. I then use it to water the plant in the evening. As we do not drink tea on a regular basis, the supply of tea-water is not as frequent as rice water. I will also mix this tea water with the mashed banana peels when it is available. On the days that I apply the goat or chicken manure, I will not use the rice and tea water. I flush out the plant's root with plain water at a quarterly interval to remove any possible accumulation of mineral salts. The accumulation of mineral salts is associated more with chemically processed fertilizers but I still do regular flushing, just in case. Anyway, soluble salts are also present in tap water you use to water the plant! The danger of salts build up if it is not flushed away, is the harm to your tiger orchid plant. Its sensitive feeder roots can burn away from any high salt concentration. The damaged root will start to rot and will slowly kill the plant. During the rainy season, I will skip this as the rainwater will hopefully flush out these salts. 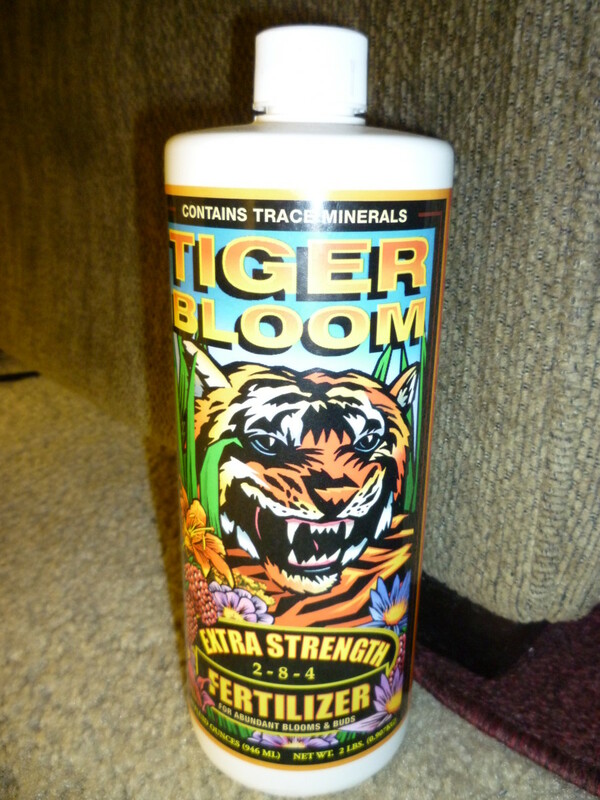 If you had difficulty in getting your Tiger Orchid to bloom, try this organic fertilizer concoction. I am sure you will experience the same results as I had. If you have cats, you may want to try the 'used cat litter' fertilizer that my friend did to his Tiger Orchids. 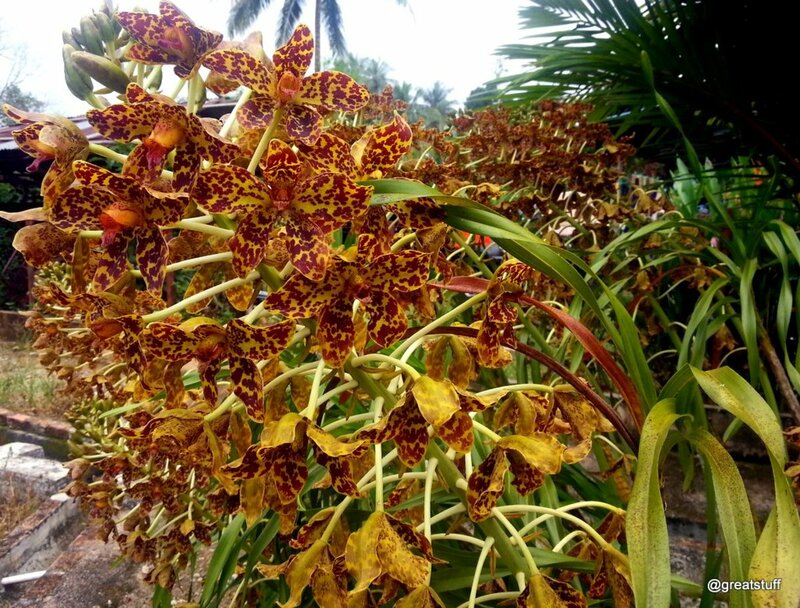 Share your experience by coming back to this post, and tell us what happened to your Tiger Orchids. Tiger Orchid not only produces the largest orchid flower in the world but is the heaviest orchid plant in the world. It can weigh up to a ton (907 kg) or more. 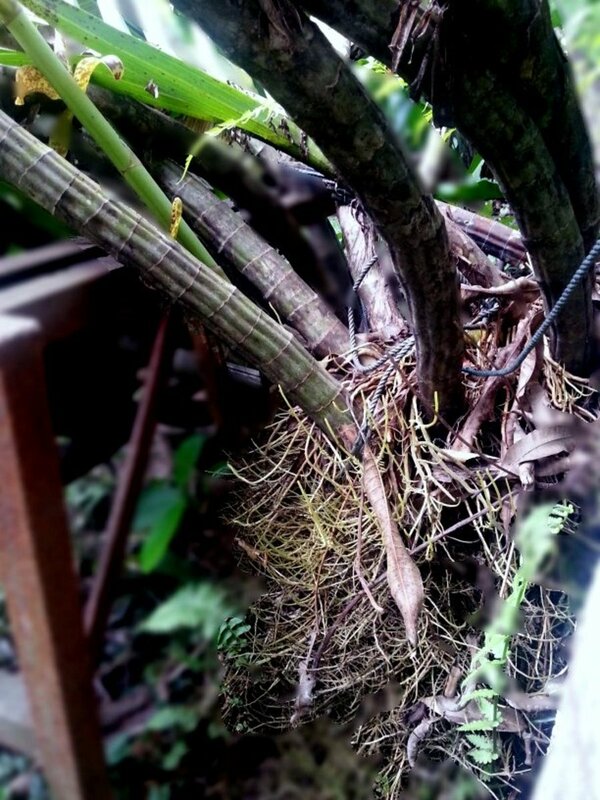 The plant has an impressive root bundles and the pseudobulbs (cane-like stems) can grow to 9.8 feet (3 m) or more. In its natural habitat in the jungles of Southeast Asia, it grows on other trees for support. It is not parasitic but is self-sustaining for its nutrients. You can also find Tiger Orchid growing on rocky surfaces. 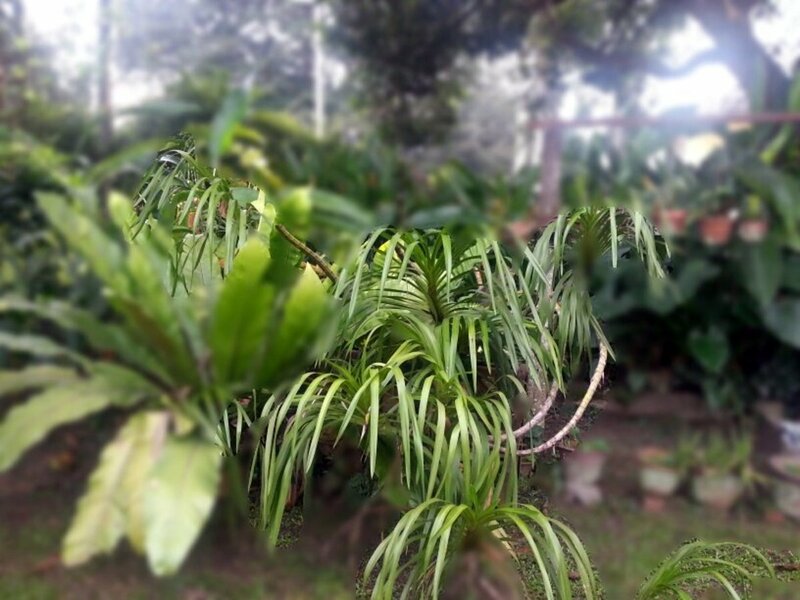 The plant is sometimes called sugarcane orchid as it resembles a sugar cane plant. 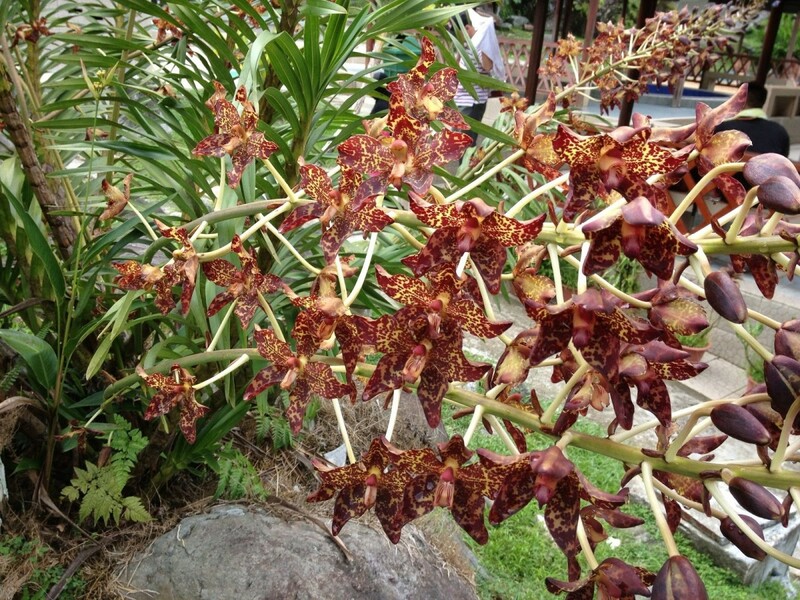 Have You Ever Seen Tiger Orchid Blooms in Person? When Tiger Orchid blooms everyone gets excited and cannot wait to see this unpredictable largest flower in the world, live. Why? Because it is difficult to get it to flower. When it does, it becomes a news item. In 2011, a rare and beautiful event happened at Brooklyn Botanic Garden (BBG) in New York City. 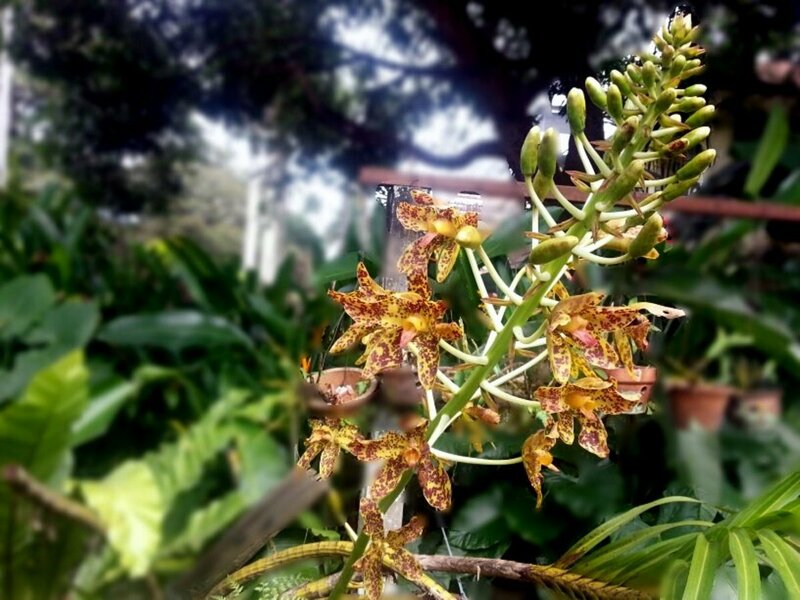 Its Grammatophyllum speciosum bloomed for the third time since it took up residence at BBG an impressive feat as even in its natural habitat in South East Asia it blooms infrequently. The bloom is very impressive with a display of 17 flower stalks and hundreds of the Tiger Orchid flowers. See photo below. The accompanying video was when it bloomed in 2008. Unfortunately I could not find video of 2011 blooms. 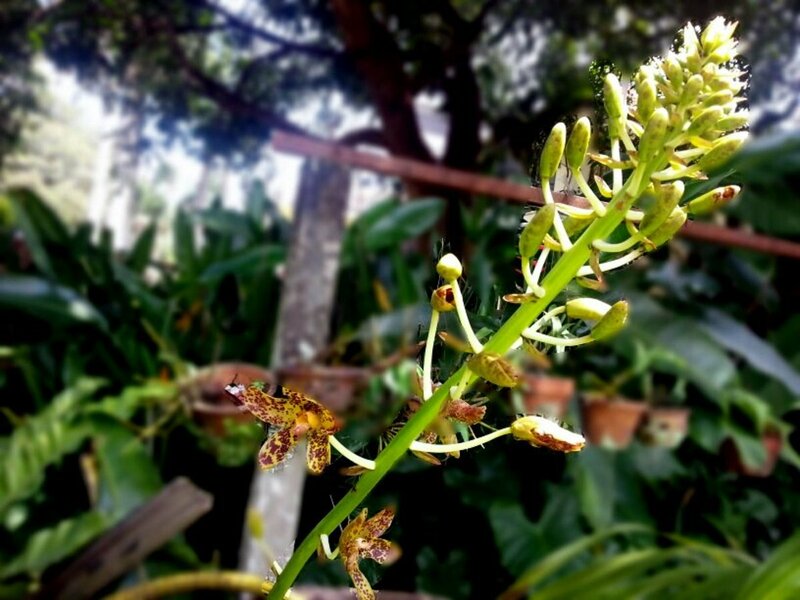 Wild Tiger Orchids were extinct in Singapore due to its fast development that took place all over the island. 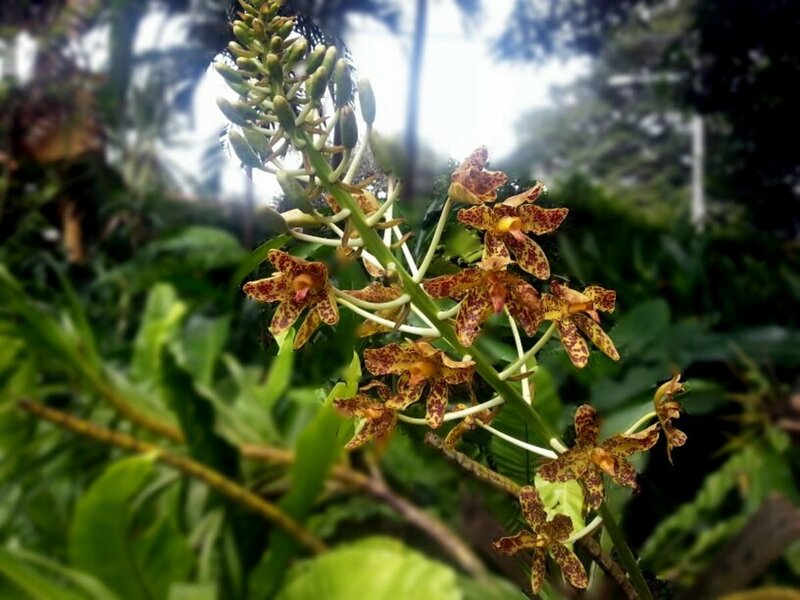 In 1999, the government started to introduce the plant again and in March 2013, 20 of the 800 Tiger Orchid plants that were reintroduced to the island started to flower. 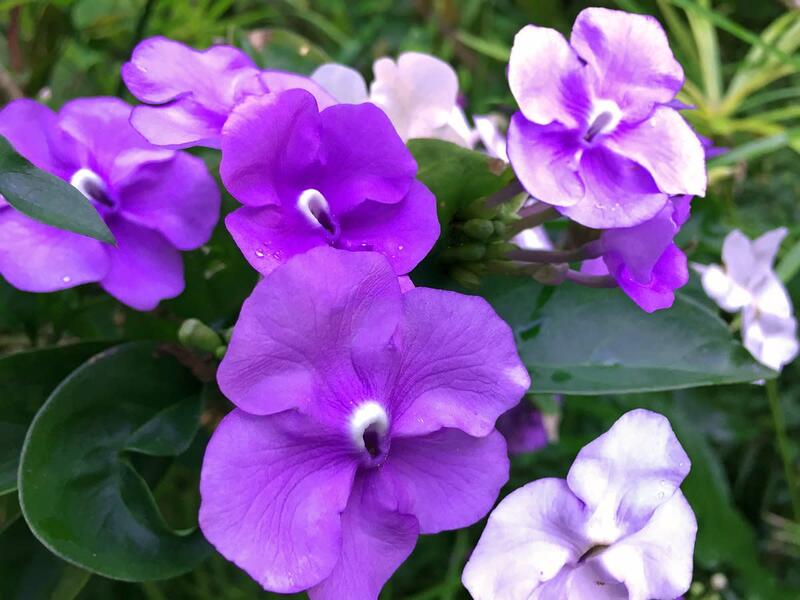 These flowering plants were seen not in the 'wilder part' of Singapore but were in public parks, at the road dividers, and in other public spaces. The 2013 blooms were at Holland Road in the middle of road diver and at East Coast Park. See the accompanying video. 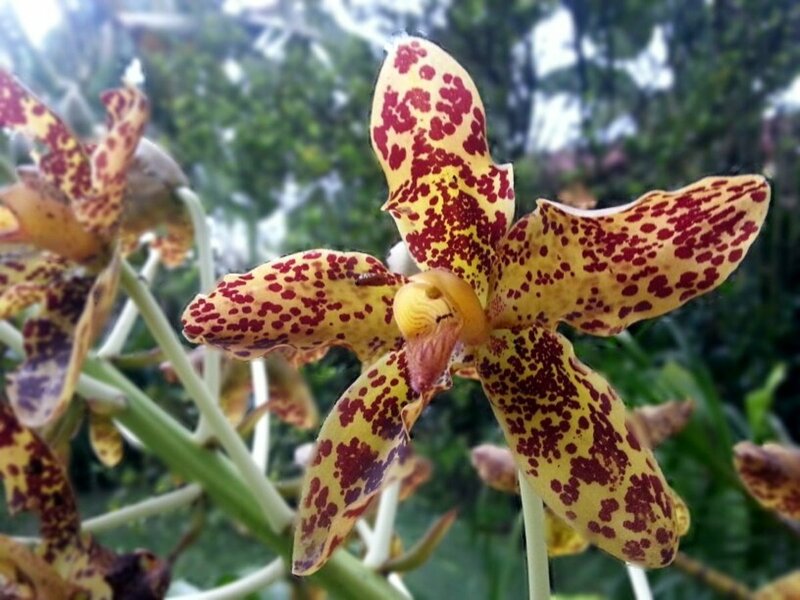 In May 2013, the Grammatophyllum Speciosum or Tiger Orchid bloomed at Poring Hot Spring in Kinabalu Park, Sabah, Malaysia. See photo below. It is located at the foothill of Malaysia's highest mountain, Mt. Kinabalu. Wow. I have not seen this type of orchids before. It's really beautiful. Alas I can only admire it in pictures and video only. Hi, Parry. 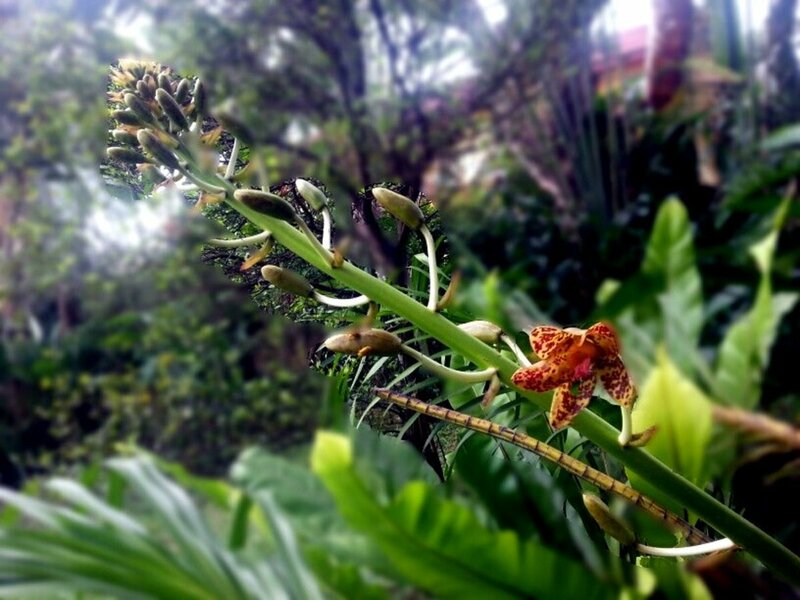 Wow, that's fantastic to have tiger orchids to bloom once a year. I have not driven down to Singapore for a long time, mainly due to our poor RM but if I do I must pop over to Serangoon reservoir. But isn't this place out of bounds to the public? 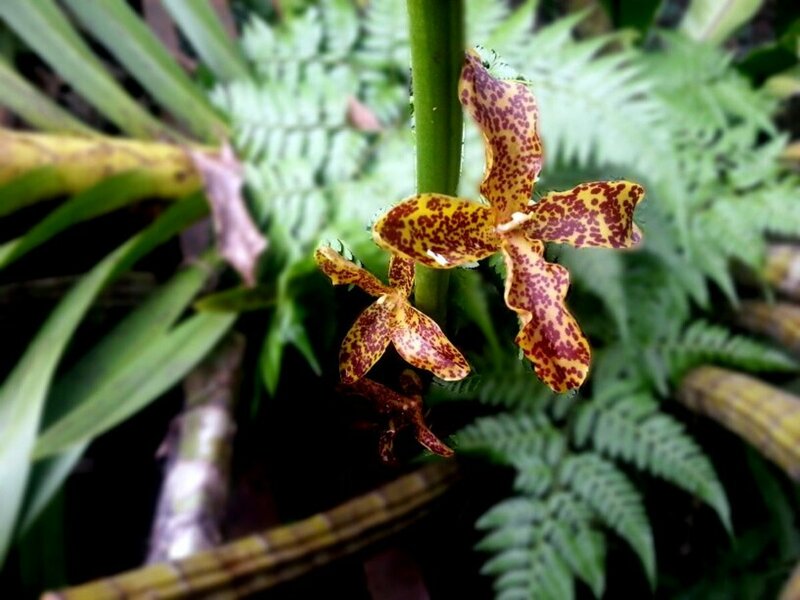 You can see Tiger Orchid at Serangoon Reservoir. I notice the flower bloom once a yesr in the past 3 years. Sorry for the late reply. I fertilize it weekly as I use organic fertilizer. Not too much, though. I water it every evening after back from work, usually at abt 9pm. tx for your article. May I know how often you fertilize your Tiger Orchid? And what about watering esp when we are having heat wave in Malaysia? Thanks yo! Thank you so much for this great article! I'll try and tell you the results. Thank you thank you for this article it has helped me immensely. My tiger orchid has different leaves and only flowered 1 time in 2011 after having it for 5 years. But it was truly spectacular. I have pics. I am going to try all of the organic tips and will let you know what happens. @teaches12345, thanks. The problem that I have is getting rid of the pesky bugs off my orchids. They seem to be around when the orchids start to flower! You certainly put a lot of hard work into these beautiful flowers. They are so exotic in appearance. I love orchids in general, but find them hard to grow. Perhaps with your suggestions, it would be easier. @Sage, thanks for the compliments. Kitty litter may sounds disgusting, but since posting this article and reading the comments, I goggled and found out that people ARE using used litters as fertilizer! @Glimmer TF, hahaha, actually my garden is in mess! The heliconias (behind the Tiger orchid) are due for 'pruning' since 2012! Thanks for the visit and comment and pls share your experience on the Pittsburgh orchid show; look forward to this article! @tirelesstraveler, cat litter as fertilizer was new to me as well and I wasn't sure of it until my friend showed me the results! So what happened to the orchid ranch? @AliciaC, I loved the Tiger orchid's fragrance as it smells almost like my two favorite fragrant flowers, the jasmine and ylang-ylang; both are in our garden. This hub is very interesting as well as very helpful! The tiger orchid's flowers are beautiful. I've never grown orchids, but I'd love to try. Thank you for sharing all the great tips. There used to be a famous orchid ranch near my home. I used to love to go there on crummy days. It always smelled so good. I have heard of all kinds of organic fertilizers, but the cat litter is a new one. Nice work. This article is awesome! Wow, I never heard of using kitty litter as fertilizer, what a great tip! And your mention of the Brooklyn Botanic Gardens brought tears to my eyes because I grew up in Brookly and the BBG was my 'happy place'. I'd escape there often just to recharge, spend days there with my daughter when she was born-- I haven't been there in over 10 years since I moved out of NYC and I miss it. Beautiful images, too. Great hub!